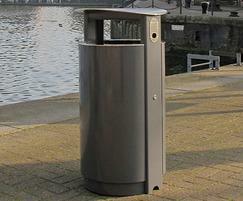 Arca circular all-steel bin is suitable for most urban applications. 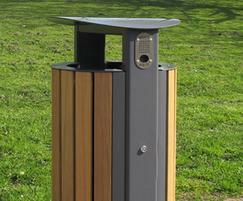 In contrast, the timber-clad body and door panels are perfect for park and rural settings. 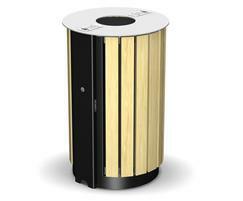 The Arca is designed so that any worn-out components such as the lid, lock set, door rims and body panels can easily be replaced on-site. 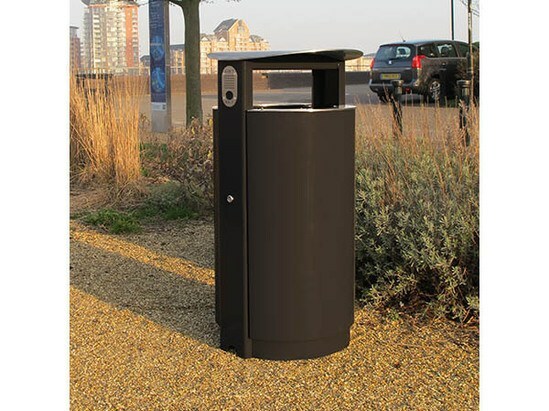 This approach allows a variety of materials and finishes to be used on different components, with a popular choice being the lid and door rims in stainless steel to complement the powder coated main body. 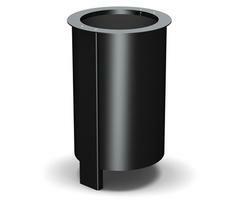 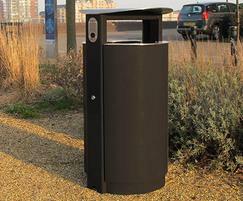 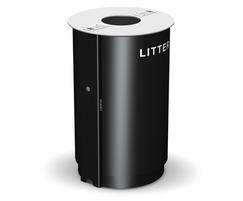 Furnitubes also offer a square version of the Arca circular litter bin. 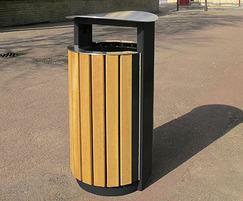 ADD a T to the end of the code when specifying a timber clad body. 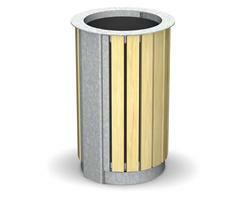 Refer to PDF for full specification details.